oh my, you look seriously gorgeous ! The skirt is so beautiful and sheer and has such a nice pale yellow colour and the green sweater complicates it so well ! Love these colours! I have just discovered your blog and I'm your new follower! I like your style, so I follow you; I hope you follow me if you like my blog. Cute outfit! That sweater is a nice green! 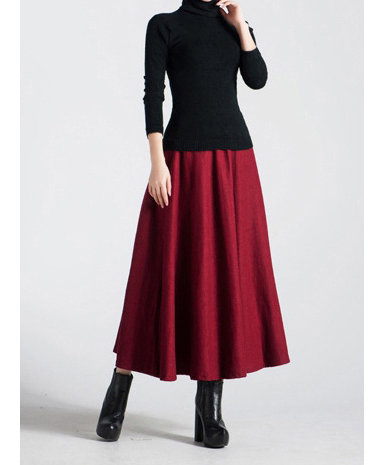 The knit sweater with that thin skirt is so absolutely fabulous. The colors are really pretty, too. I love this outfit. these two colors really compliment each other and i love the light and airy feel of the skirt. thank you for visiting and hopefully you'll stop by again! im following you through bloglovin! you look so pretty June! the lime skirt definitely compliments your skin complexion. such beautiful, bright spring inspiration! totally LOVING this outfit, the colors are amazing! wow gorgeous outfit! really pretty colors:) thanks so much for your comment! love this look and also your blog! It's so nice!!! Wow, I love the colours in this outfit. god i love this look! merry christmas to you as well!